Remember the “Got Milk?” and “Beef. It’s What’s for Dinner” advertising campaigns? They were developed through “checkoff” programs designed to promote individual agricultural products. The checkoff programs are essentially taxes on the farmers, who are forced to pay for these marketing programs whether they agree with the messages or not. Right now, certified organic farmers are exempt – but the USDA is considering creating a checkoff program that would cover all organic products. This is the wrong path for organics and American family farmers. In theory, checkoff programs are supported to allow an entire agricultural sector to fund research and marketing to boost a product’s success, with all parties benefiting in the process. In reality, big industrial-scale players are the ones who benefit because the programs promote the commodity (beef, milk, etc.) without respect to how it’s grown, where it’s grown (U.S. or foreign), or who grows it (small farmers versus massive agribusiness operations). Granted, an organic checkoff would be promoting products based on how they are grown, but it still wouldn’t distinguish between domestic and imported foods, or the size of operation. In practical terms, this will drive the demand for organics to the lowest cost suppliers – often cheap imports from countries like China or large, consolidated operations that meet the bare minimum requirements. And since checkoffs can’t denigrate other products, all of this will have to be done without saying anything that makes it sound like organics are better than conventional foods. It’ll be empty marketing slogans, not providing any information to consumers about the real benefits of organics. FARFA’s position is that all the checkoff programs should be changed to voluntary – and we certainly don’t need to be creating a new mandatory one for organics, like the USDA is proposing now. Comment before the April 19 deadline and oppose the organic checkoff. I am writing to oppose the proposal to create a Research and Promotion (or checkoff) program for certified organic products (Docket #AMS-SC-16-0112). Demand for organics already outstrips the domestic supply. We don’t need a marketing program – we need USDA to support American family farmers who want to grow organically. And the checkoff will do nothing to help such farmers. While the smallest farmers will be exempt, they’ll still be saddled with filing requirements to get that exemption. And many family farmers will be required to pay what is essentially a tax, even if the checkoff provides no real benefits to them. I support more funding for organic research, but creating a bureaucratic and burdensome program is not the right way to fund that research. Dozens of organizations representing organic farmers and businesses oppose this proposed checkoff, and I stand with them. A checkoff program is not the right path for organic. See the other organizations who also oppose this program and LEARN MORE HERE. This will be just another tax on farmers – either directly or indirectly when processors pass the cost down. Want to promote the benefits of Organic? You can’t in a checkoff. 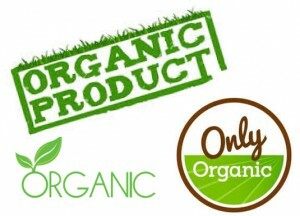 Even something as simple and accurate as “Organic is the Gold Standard,” will not be allowed by USDA. The checkoff system is fundamentally broken for farmers – the federally mandated checkoff programs have restrictive guidelines, heavy bureaucracy, lack of accountability, and high costs of administration. Checkoff programs have a history of using checkoff funds inappropriately, with poor representation of farmer priorities in granting of research dollars. Commodity checkoff programs have actually correlated with the decline of family farmers in business for the commodities promoted.